The Professional Affiliates of the C.G. Jung Institute of Chicago consists of individuals who have completed the Jungian Psychotherapy Program or the Jungian Studies Program. 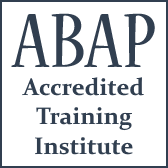 Professional Affiliate clinicians who are also Institute members are listed here. The Jungian Psychotherapy Program is a two-year certificate program utilizing a depth psychological approach to analytical psychotherapy. It introduces clinicians to the foundational concepts of Analytical Psychology (in 144 hours of classroom instruction) and trains them in a psychotherapeutic method based in those concepts (in 72 hours of case group seminar). Analytical Psychotherapy is a therapeutic approach that applies a symbolic attitude within the context of a highly personal interactional field. It utilizes unconscious material from dreams, fantasies, the body and various imaginal art forms and draws on the seminal work of C.G. Jung and other analytical psychologists. For a more extensive description of the Jungian Psychotherapy Program click here. Professional Affiliates take part in continuing education courses in Jungian methods, coordinated with the Program Committee of the Jung Institute of Chicago. 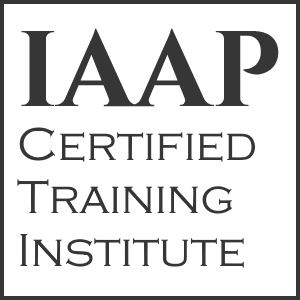 Continuing education credit is provided by the institute for this additional training. Their continuing education furthers the mission of the Institute by extending the impact of Jung’s work into the larger community as well as providing support and community building amongst participants. Professional Affiliates also participate in professional meetings with analysts and candidates-in-training for the presentation of professional papers. Other benefits enjoyed by Professional Affiliate Members include: library privileges, fee reductions for public and professional programs, and invitations to holiday parties and social events. The Jungian Psychotherapy Program is to be distinguished from the Analyst Training Program of the C.G. Jung Institute of Chicago in that Professional Affiliates are not Jungian Psychoanalysts. Professional Affiliates comprise a diverse group of clinical professionals, and the oversight function for each Affiliate is performed by the professional or state organization that has jurisdiction over the Affiliate for purposes of licensure and/or professional credentials and standards, e.g., The American Psychological Association, the Illinois Department of Professional Regulation, etc.